I have a confession to make. I’ve been cheating on you. I swear I didn’t mean anything by it! I PROMISE it won’t happen again! What happened was that things just got so crazy, and before I knew what was happening, I was doing it again and again! All funny business aside – I am feeling pretty guilty; I’ve been baking cheating, in the WORST way. I won’t share too many of the sultry details but I did want to share some of my recipes (and photos) because they were pretty dang delicious! The first incident was the oatmeal cookie fiasco. It wasn’t really a fiasco in the least, but I took all the photos and just never made the blog post; so fiaco-esque. 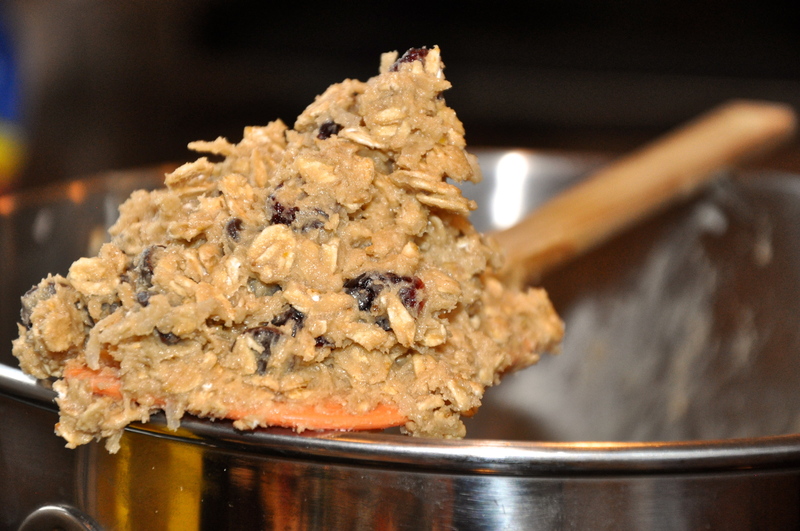 Now, there are NOT your average oatmeal cookies; OH-NO. Not to brag, but these are the most fantastic, wonderful, chewy and creamy, sweet and savory, little drops of heaven. Okay; probably not THAT good, but I did get quite a few compliments! 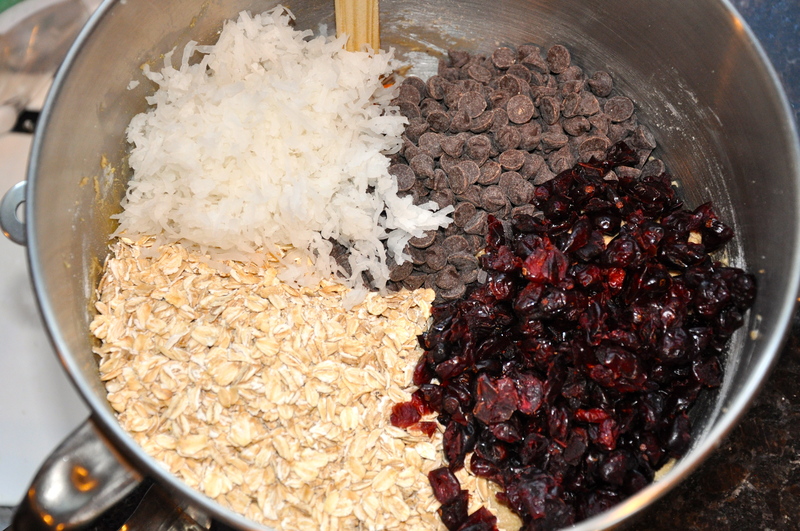 The cookie is SUPER simple- just follow the instructions of the back of the Old-Fashioned Oats and then we get to jazz it up! Personally, I’m not a huge raisin fan but I DO love craisins. Perfect substitute. 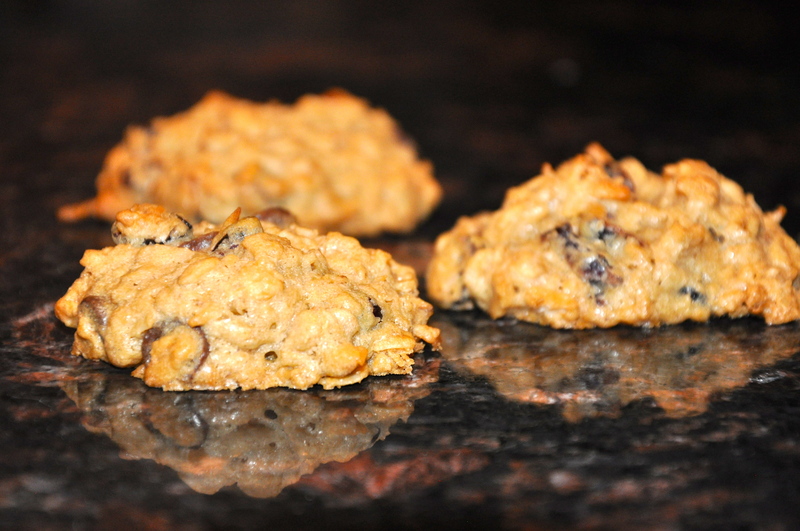 Also, people it’s still a cookie so lets not deprive ourselves of what we REALLY want, chocolate chips! The mini ones work the best. But the real kicker – is, drumroll please, shredded coconut! Now doesn’t that just look so pretty? The coconut creates the moisture in the cookie that not only keeps it soft and chewy, but adds a savory-sweet layer to the flavor palate! Trust me, these puppies are FANTASTIC! 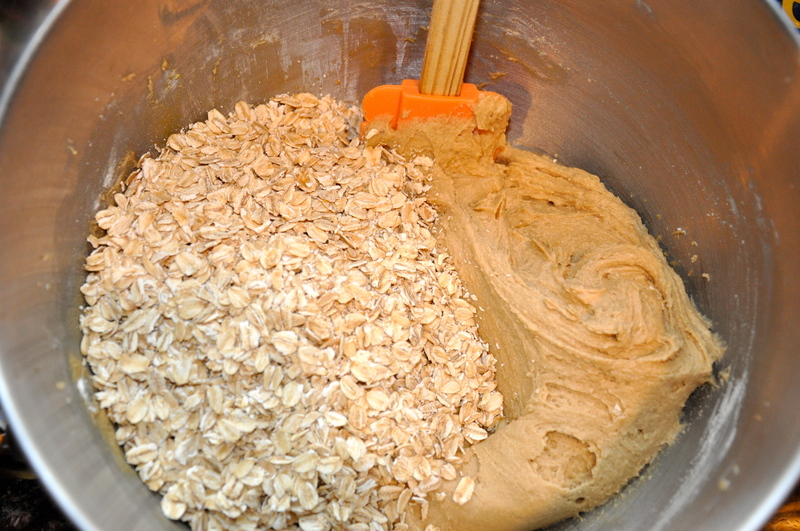 When I make oatmeal cookies, they usually end up baking out the be the size of dinner plates. Which, albiet, enjoyable to bite into and devour; usually leaves me feeling less content, and more stuffed and disgusted. Especially these because they’re such a DENSE cookie- it’s best to try to keep it to a portion controlled size…If possible. Such delicious batter – I have a hard time controlling myself on this one! Honestly- this doesn’t even need to make it to the oven! So, let’s remember that I admitted to multiple counts of infidelity. The second one was much less exciting but felt I needed to share it with you all. Just getting everyone out on the table you know? Don’t want to be caught in one of these situations. The beginning of my indiscretion. 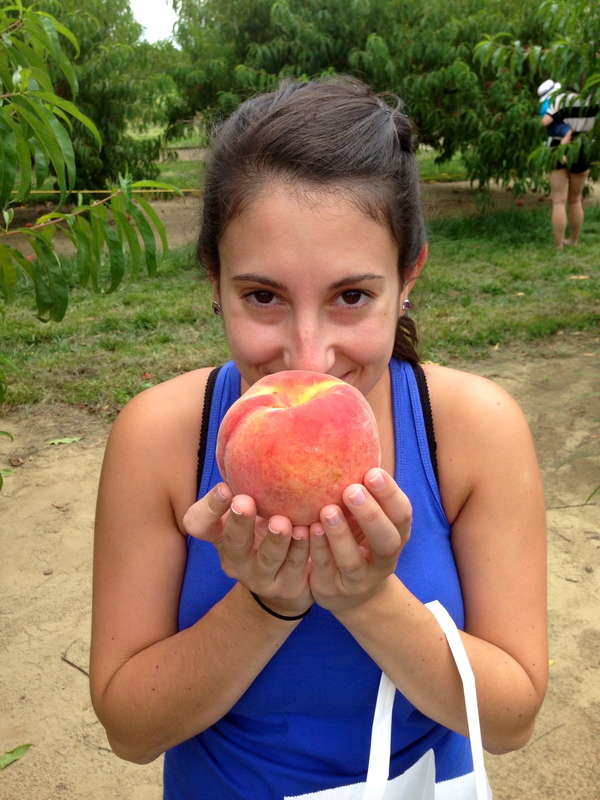 Getting back to the baking and making part of this blog; we went peach picking the other day! First of all, YUM. Secondly, this was a big accomplishment for me! Some people hate nails on chalkboard, some people have a thing against the squeaking noise that cotton balls make, and I even had a friend who had a phobia of ketchup. I have an intense aversion to peach fuzz. That’s right, peach fuzz. Even as I write the word, it sets my teeth on edge and I’ve got goosebumps all up and down my arms! 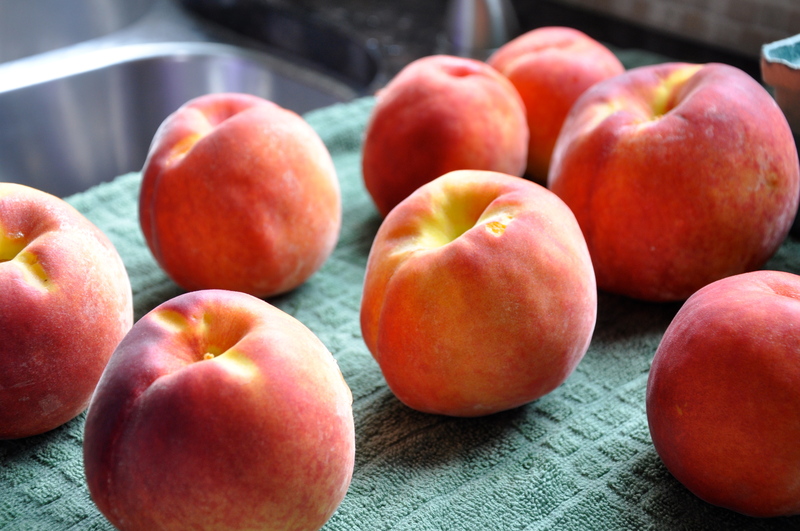 I LOVE the taste of peaches and will eat them skinned or frozen but until today, I was completely unable to even handle them without plastic gloves. I FACED MY FEARS! Facing my big fuzzy fears! 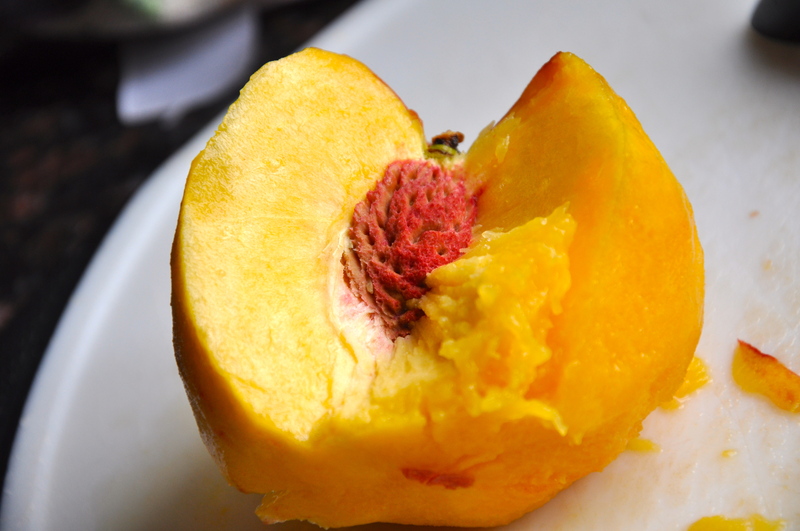 Skinned peaches- Perfect for Robin! Coming up next – The chocolate cake to end them all! Stay tuned for the best cake I think I’ve ever made! Do we have a challenger? Any takers….. A chall-ang-er?? Solid parent trap reference! Nice! !